Wow…I just love this phrase! I first heard Who you spend time with is who you become from Nido Qubein, a renowned business expert and the President of High Point University in North Carolina. I was at a business conference watching a video of Nido speaking and it is a phrase that has stuck with me ever since. I’d like to focus this post on this important leadership lesson because it is a lesson that can pay off for all of us as we reach for success in our careers and our lives. As someone who has worked with young people for over 16 years, I know that parents are often concerned with the circle of friends with whom their children associate. No one wants their child to gravitate toward negative influences because they realize the likelihood of bad habits or life choices rubbing off on their child. The powerful thing I’ve realized about the phrase Who you spend time with is who you become is that it applies to adults in very tangible and important ways. Motivational speaker, Jim Rohn, is known for saying that we are the average of the five people we spend the most time with. I believe this is 100% true, and over the past year I’ve really made a conscious effort to evaluate who I spend the most time with. I have thought about whether my own circle is a positive or negative influence on my life. Are they are going to push me forward toward my goals or hold me back? Now, let me be clear; I am not saying that I care about anyone any less because of this evaluation. I only mean that I have learned to recognize that in order to reach the level of success I want to achieve, I need to surround myself with people who will help get me there. So I challenge you to begin to pay attention to those around you. Are they passionate, driven, focused and motivated? People who are successful in their own lives have clearly defined goals and are able to achieve those goals through persistence, hard work and the right guidance (as I discussed in my last post). Is that your circle of influence? If not, are you okay with that? Another key component to this is to surround yourself with people who have the kind of attitude that will best support you. 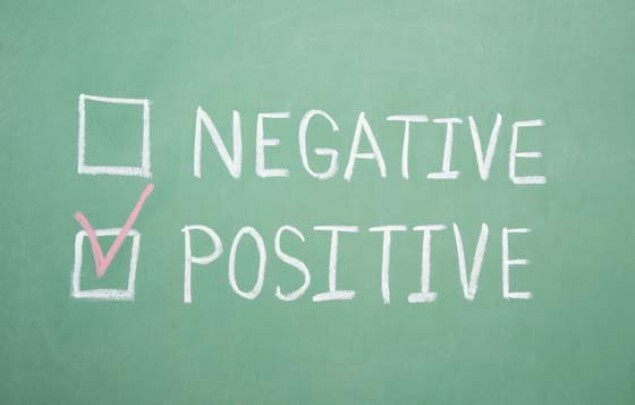 Excessive negativity is not going to help you; someone who complains about every little annoyance is not going to make you feel motivated and optimistic. You need people around you who are confident and positive, not just in how they interact with you, but in the way that they see the world in general. But don’t think that you need everyone around you to always have a sunny outlook, particularly when it comes to the way that you are pursuing your goals. Some of the most constructive feedback you can receive is critical and honest reactions to the things you do. You want the people close to you to challenge you, and to keep you from taking the easy way out. Sometimes the most motivating interaction you can have with someone is to have that person tell you, accurately and honestly, what you’re doing wrong and how to improve. Some of the toughest conversations I’ve had have been with my business coaches telling me I was completely wrong in my approach. Sure it can sting for a minute to hear you are on the wrong track, but I am grateful for the wisdom they shared and my businesses are the better for it! It is only by surrounding yourself with people who will push you beyond what you think you can achieve that you will begin realize your true capabilities. In the context of the arts, one of the greatest things about working in an ensemble is that the members of the group have such an amazing opportunity to motivate each other. The strongest performers lead by example, and everyone else in the group is motivated to raise their own performance to the level of the best players. In a very real way, the entire ensemble becomes the people they spend time with. This lesson holds true in every area of your life: your relationships, your career, and your creative endeavours. I encourage you to start to pay attention to the circle of people around you. You will find that you are more influenced by them than you think. Great article, we agree completely. Sometimes we do not take inventory of the people in our lives and we end up with negativity without even realizing it. Its like gum stuck to your shoe, its hard to scrape off. The other thought is sometimes we like to have the negative people in our lives as people are self destructive and for some strange reason we feel better knowing that there are all these people around us as it makes us feel better about ourselves. Often we look at them as its their problem not ours or we say things like “thank god thats not me”. In other words we need the contrast in our lives to help us understand what we are good at, but this is a backwards way of living. Success breeds success. It is like playing a game of golf or tennis, you want to play with someone who is better then you as it makes you a better player. I agree to this. especially if the method of teaching is mentoring. parents should be critical in choosing the right teacher. because the person can either make or break the child. Children in early childhood are quite vulnerable and may tend to absorb the behaviour of the closest and significant person around.